Dan Petroski, Winemaker von LARKMEAD, wurde vom San Francisco Chronicle zum Winemaker of the year 2017 gewählt! … Petroski is the winemaker at Larkmead Vineyards, one of Napa Valley’s oldest and most storied estates. Larkmead was founded in 1895 by Lillie Hitchcock Coit — the namesake of Coit Tower, legendary patron of San Francisco firefighters — and boasts the sorts of assets of which Napa Valley newcomers could scarcely dream. On 110 acres of prime Calistoga vineyard land, sandwiched between the Mayacamas and Vaca ranges, the Larkmead property gets the best influences of both mountains’ benchlands, holding a remarkably diverse set of soils. 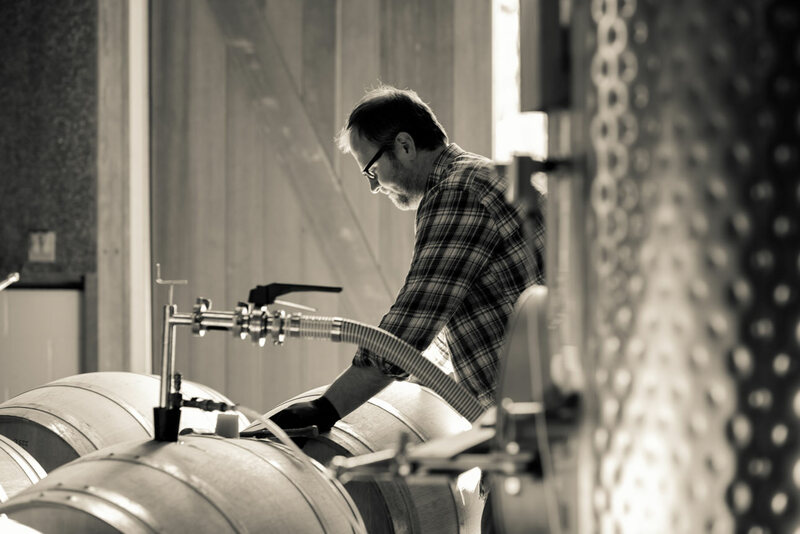 Over his 11 years at Larkmead, Petroski has honed a focused, but ultimately traditional, voice for the estate’s Cabernet Sauvignon wines. Structure, a commingling of herb and fruit, tannins that will outlive decades: These are the noble mandates of Cabernet from Napa Valley as from Bordeaux, and have been for centuries. Petroski enacts them masterfully. …"